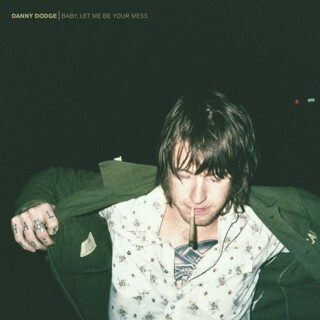 Having been a fixture in the Portland music scene for the better part of a decade as front man for both No Tomorrow Boys and The Criminal Guitars, Get Loud is proud to announce Danny Dodge’s debut solo record, Baby, Let Me Be Your Mess. Showcasing jangled power-pop riffs and clever lyrical hooks, the ten song debut lends itself more to the likes of Tom Petty and The Byrds than the punk of his former bands. Songs like “You Need a Man, Not a Hurrican’” and “Worry ‘Bout Ya” cut straight to the heart, romanticizing the listener with a 70’s era blast of front seat rock radio, all while casting Dodge as a burgeoning American songwriter. Cut mostly live, Baby Let Me Be Your Mess, is both an honest and urgent reflection of a young man arriving. "Baby, Let Me Be Your Mess"